You are here: Home / Recipes / Recipe type / Dips, Sauces & Condiments / The Best Spicy Sweet Chili Sauce! The Best Spicy Sweet Chili Sauce! The Easiest and Best Spicy Sweet Chili Sauce – easy to make, and easy to adapt and most importantly absolutely delicious! 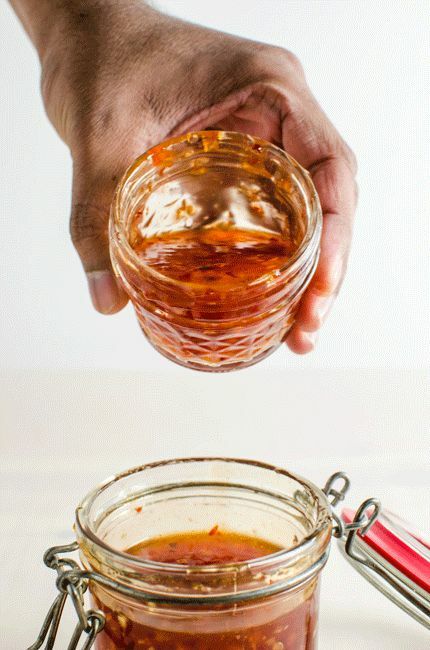 Learn how to make this authentic Asian sweet chili sauce with step by step instructions. Great for canning too. 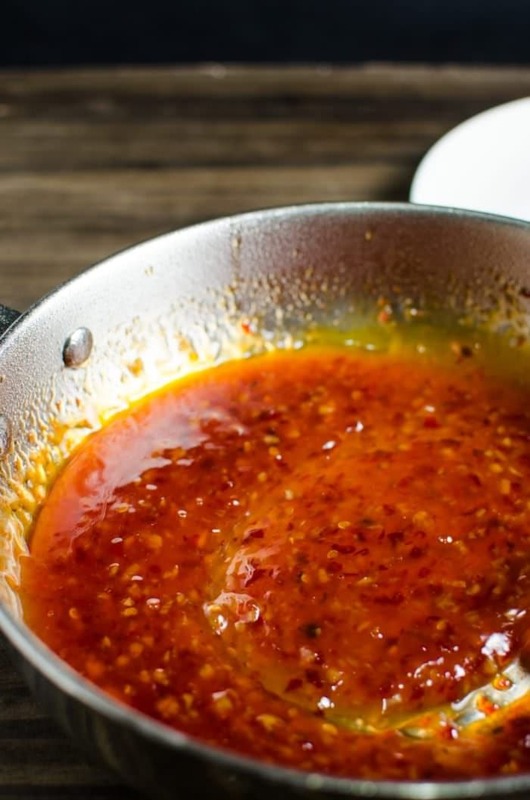 The only recipe for Spicy Sweet Chili Sauce you’ll ever need! Imagine a steaming hot spring roll, an egg roll, fried chicken, grilled chicken, chicken wings, chicken nuggets, crab rangoon, wanton, fried calamari, cheesy toast etc. etc. Now imagine the same without that ever present, faithful sidekick – the dipping sauce? Not quite the same, is it? Whether it’s game day, or you’re eating out or you have friends over, sometimes a great appetizer or snack just isn’t the same without that beautiful condiment – the dipping sauce. 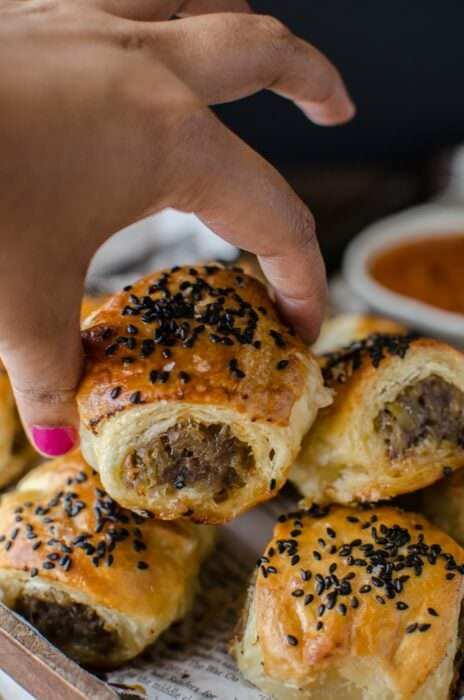 Although that’s not always the case – I recently made some Mini Cheesy Chicken Pies and Pork Sausage rolls, which I thought were perfect without any condiments. But for those moments when you do need one, an easy to make, insanely delicious, homemade dipping sauce might just make all the difference! And one of my absolute favorite dipping sauces is Thai Sweet Chili Sauce! I used to ALWAYS have a bottle of sweet chili sauce in my fridge, and use it on pretty much everything. It’s my go-to condiment. This really is the Best Thai Sweet Chili Sauce you’ll ever have! It’s one of the most popular posts on my blog with dozens and dozens of great reviews on here and on Pinterest. It’s ridiculously easy to make, but I’ve also provided ingredient substitutions to make it even easier for you. 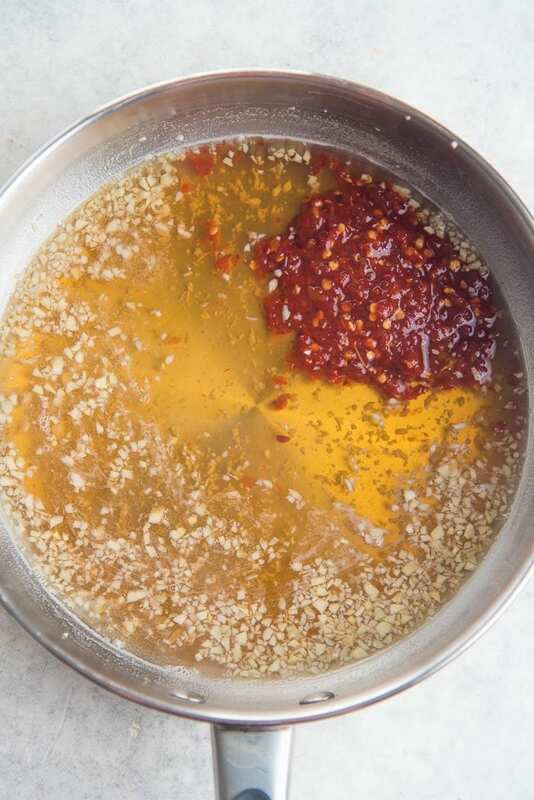 A simple to make, thick, sweet and spicy sauce with a delicious garlicky kick. You can actually see pieces of chili and garlic suspended in the sauce in the pictures in this post. Sweet chili sauce is a classic condiment in Asian cuisine, especially Thai and Vietnamese cuisine. So on one of my trips to the grocery store, I looked at the label on the sweet chili sauce bottle and the ingredients were – sugar, water, pickled red chili, vinegar, garlic, salt and xanthan gum. That sounded simple enough, and all I needed was to find the best ratio of those ingredients. How can I make sweet chili sauce easily? Sweet chili sauce is easy. We’ve already established that. It comes together in just 10 minutes and you can store it in the fridge for up to 2 weeks. One of the ingredients to make sweet chili sauce is pickled red chili. It’s pretty time consuming to make your own fresh chili paste and pickle it to make sweet chili sauce. But thankfully there is a readily available ingredient, which is a shortcut to help you make authentic sweet chili sauce. And that’s SAMBAL OELEK! It’s an Asian chili sauce made with red chili peppers and vinegar. I always have a bottle of it in my fridge because I use it all the time when cooking curries or stir-fries. For the most authentic flavor, use the regular sambal oelek. But if that’s not available, you can use the garlic version too. Just make sure to cut down the amount of garlic cloves in the recipe by half. Another ingredient that I use to make sweet chili sauce is soy sauce OR fish sauce. Both of these ingredients help season the sauce and add another level of flavor to it. I love adding fish sauce for a more authentic Thai or Vietnamese flavor flair with a nice little umami kick too. What if I can’t find Sambal Oelek? Don’t you worry! I tried different substitutions and found that you can still make delicious sweet chili sauce at home without sambal oelek. There’s a subtle difference in flavor and appearance with each substitution, but in the end, you still have a really flavorful sweet chili sauce! Dried chili flakes will make this sweet chili sauce a tad spicier. Instead of 2 ½ tbsp to substitute the sambal oelek, I only add about 2 tbsp of dried chili flakes, and a little extra vinegar (about 1 tbsp). You may need a little extra seasoning too, but that’ll be a personal preference. I’ve made this with fresh chili too. Again, I only use about 2 tbsp of ground (or finely chopped) fresh chili. Make sure to find the red chili peppers for this sweet chili sauce recipe. If you make this with red jalapeno, the spice level will be less, and you can use 2 tbsp of the peppers (with or without seeds). If you have access to Thai red chili (the small red chili), you can use even less. These peppers are spiceeeey! It’ll be better to remove most of the seeds, and ONLY use the chili for to make the sauce. I typically only use about 1 ½ tbsp of ground Thai red chili peppers. And ALWAYS remember to use gloves when handling fresh chili, especially Thai red chili peppers. I haven’t made sweet chili sauce with ground cayenne pepper (chili powder), but you could if you wanted to. 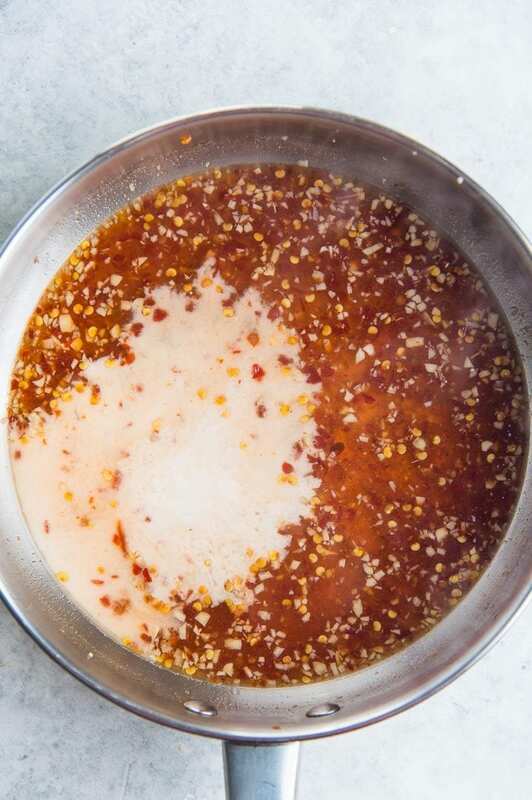 It won’t look the same as the authentic sweet chili sauce, because there won’t be any flakes in the sauce, and you’ll end up with a colored thick sauce with pieces of garlic suspended in it. But the flavor should be pretty good (though not as good as with sambal oelek). Can I make sweet chili sauce with a sugar substitute? You can use honey, but it’ll change the flavor significantly, so as long as you’re OK with that, go for it. The sauce may require a little extra cornstarch to make it thicker as well. Adding honey will make this recipe not vegan. 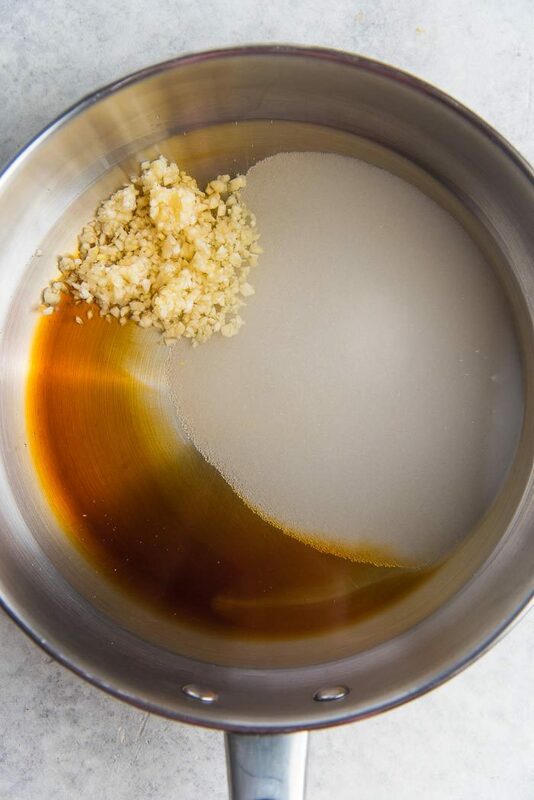 If you want to use brown sugar, you can do that too. If you want to use rice syrup (brown rice syrup), that’s also great. I haven’t made this sweet chili sauce with rice syrup before, but it should change the flavor. Can I make this sweet chili sauce gluten free? The only ingredient with gluten in this sweet chili sauce recipe is soy sauce. You can easily substitute the soy sauce with gluten free tamari sauce, to make sweet chili sauce gluten free. Using soy sauce or tamari sauce will still make sure this recipe is vegan as well. Alternatively, you can leave out the soy sauce and just season it with more salt. I have also recommended using fish sauce instead of soy sauce for the more authentic Thai/Vietnamese flavor. Nuoc mam (Vietnamese fish sauce) and Nam pla (Thai fish sauce) are naturally gluten free, but not vegan. Can I make this sweet chili sauce vegan? While fish sauce does make the taste more authentic, you can leave out the fish sauce if you like. Just substitute it with soy sauce, tamari sauce (gluten free) or salt, to make this sweet chili sauce vegan. Can I can sweet chili sauce? You can, but I’m not a canning expert to be able to tell you HOW to can it. I’ve had many readers ask me this question and I’ve had many more readers tell me that they have canned their sweet chili sauce with success, with a few substitutions. The one obstacle for canning this sweet chili sauce is the use of cornstarch to thicken the sauce here. Since recipes using cornstarch or cornflour are not recommended for canning, you will need to substitute the cornstarch if you’re planning on canning it. Cornstarch can create lumps in the sauce during the canning process which can interfere with the process itself AND the final outcome. There are TWO options for those of you who want to can this sweet chili sauce. Can the sauce WITHOUT the cornstarch, and then thicken the sauce later, before you use it. Substitute the cornstarch with Clear Jel (my recommended option). You can use Clear Jel for this recipe and get great results! Make sure to use the cook type clear jel and NOT the instant type. I’ve found that I have to use just a little extra Clear Jel than cornstarch to thicken this sweet chili sauce. For every 3 tsp of cornstarch (1 tbsp), I use 4 tsp Clear Jel (1 tbsp + 1 tsp). Since Clear Jel is a modified cornstarch, it should be gluten free. But check with the manufacturer to be sure. Are there any sweet chili sauce substitutes? There isn’t really a substitute for sweet chili sauce. You could mix some sriracha with honey for a sweet and spicy substitute, but that’s just not the same. 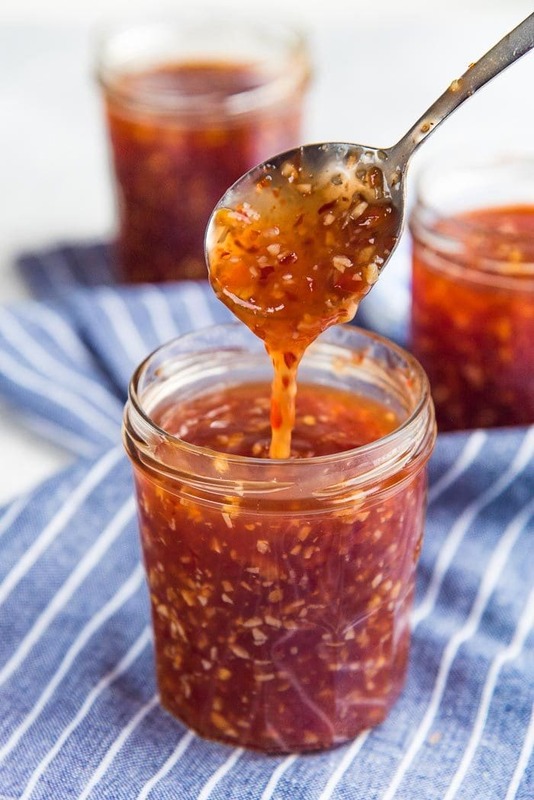 But the good news is that this sweet chili sauce can be cooked in just 10 minutes (or less), and it’s ready to be enjoyed as soon as it cools down. Plus, with all the substitutions available, you can readily make this sweet chili sauce with what you have in your pantry. Once you’ve made the sweet chili sauce, you can store it in the fridge for a couple of weeks. The high sugar content helps the sweet chili sauce last longer, but make sure you’re not contaminating it with other food particles. I prefer to sterilize my jars (in boiling water, or the oven), and then add the hot sweet chili sauce to the containers. This way I know that they should last awhile (although, a batch never lasts too long because we use it on everything!). I can say with plenty of conviction that this really is the BEST SWEET CHILI SAUCE you can make at home! 🙂 While the most authentic Thai sweet chili sauce requires that one special shortcut ingredient (sambal oelek), you can make it without sambal oelek too, as I’ve shown you guys here. 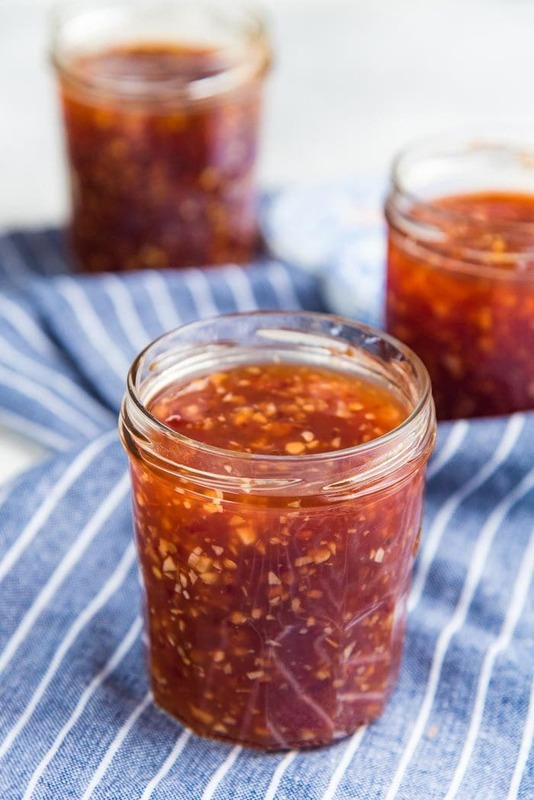 This sweet chili sauce makes for a great edible gift during the holidays as well! And now that you know how to make the recipe safe for canning, you can make the sauce last longer too. 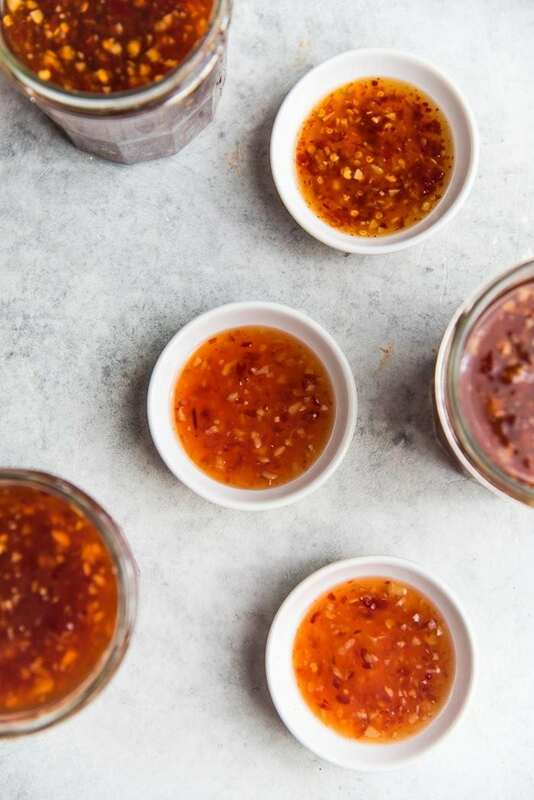 If you liked this easy sweet chili sauce recipe, don’t forget to subscribe for new (and free) recipes by entering your email address below or on the side bar (and get all these recipes delivered straight to your inbox), so you don’t miss out on a thing. You can find me on FACEBOOK, TWITTER, INSTAGRAM, PINTEREST and GOOGLE-PLUS too. 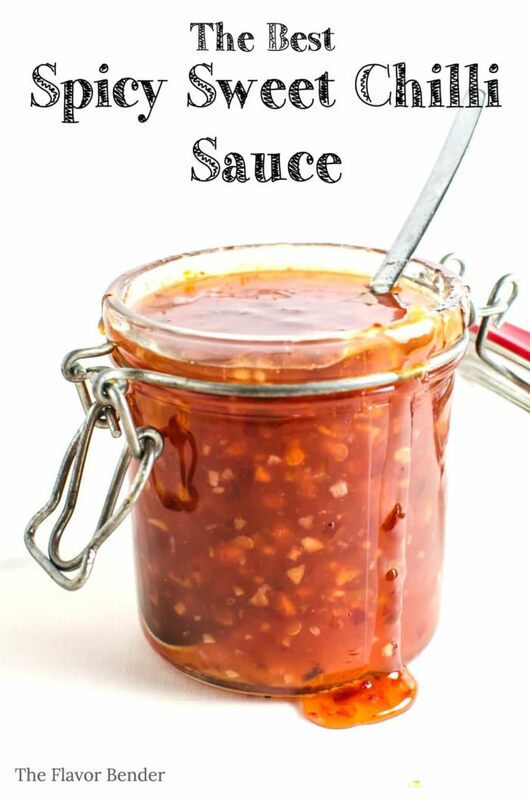 The Easiest and Best Sweet Chili Sauce - easy to make, and easy to adapt and most importantly absolutely delicious! 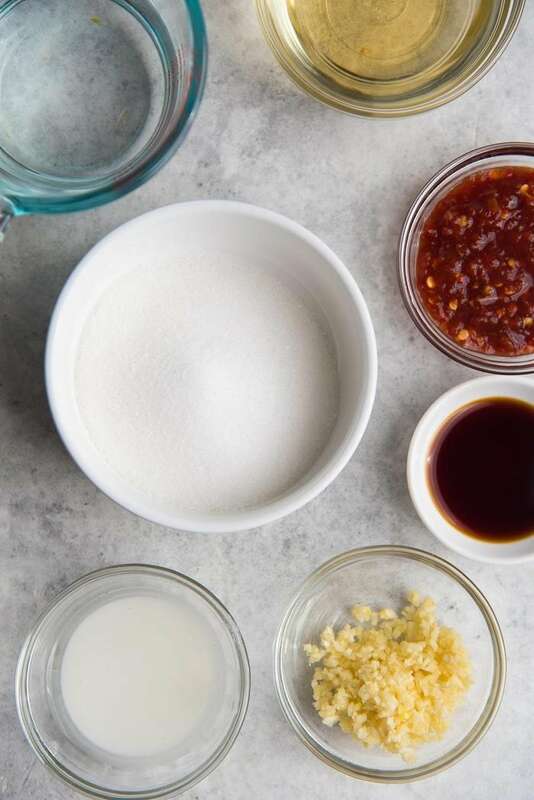 Learn how to make this authentic Asian sweet chili sauce with step by step instructions. Great for canning too. Add the vinegar, water, sugar, garlic cloves, soy sauce, and cayenne pepper (if using) in to a non-stick pan. If you're using dried chili instead of sambal oelek, add it to the pan at the same time. Heat over medium heat while stirring, to dissolve the sugar. Increase the heat to medium-high and bring it to a boil. Let it simmer for about 2 minutes. Mix the cornstarch and water into a smooth slurry and add this to the sauce as well. While stirring frequently (to prevent the sauce from burning at the bottom), simmer the sauce for a further 2 - 5 minutes or until it reaches a desired thickness. Remember, the sauce thickens as it cools as well. If it thickens too much, add a little extra water to thin it out. If you're using Clear Jel, the sauce will thicken mostly only as it cools down. Pour into glass jars with air-tight lids (OR heated and sterilized jars to store for longer). Cool to room temperature and store in the fridge. For canning, use 5 ½ tsp of Clear Jel, dissolved in 3 tbsp water. Please read the blog post for more ideas on substitutions for other ingredients. I love this sauce on everything! You can use it as a dipping sauce for spring rolls, or even other snacks like the recipes I’ve linked to below. Omg, I will never buy sweet chili sauce again. This was spot on. So yummy! Thank you! Thanks so much for letting me know Andi! We put this sweet chili sauce on everything too! 🙂 So glad you liked it. I’ve just discovered your site and have been reading through your wonderful recipes. I haven’t stored the sauce for longer than 2 weeks in the fridge, since we always end up using it up in that time. Hope that helps! It’s has a such a good flavor but I wasn’t sure about the sugar. I used 4oz because that’s what you had first, in parenthese you had 1 cup plus 2 tbsp. And 1 cup is 8 ounces alone. I like the flavor with 4 oz so I’m not sure which you recommend. Should it be sweeter? Sorry for the late reply. Unfortunately, I haven’t canned this sauce before, so I’m not sure how long it should be processed for. 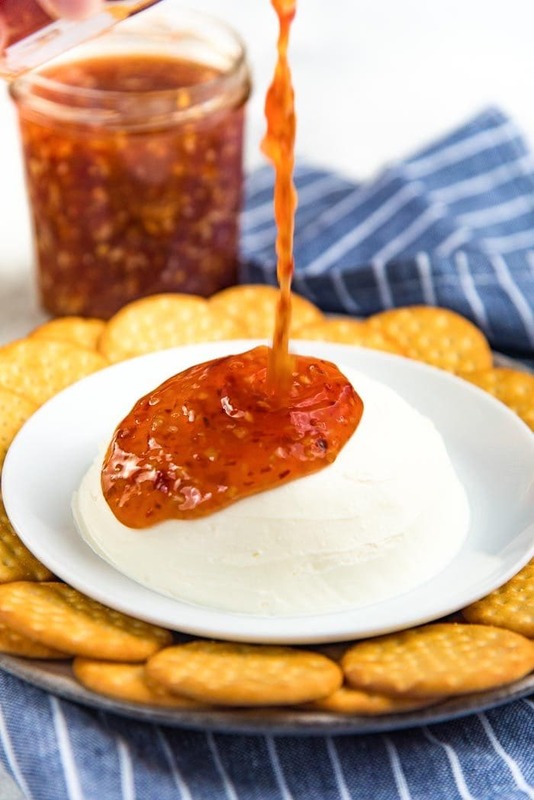 The reason I included a canning-friendly variation of this recipe that uses clear jel was because of a request from one of my readers, but I haven’t canned the sauce myself before. I have read that cherry pie fillings with cook-type clear jel are processed for about 20 – 30 minutes, but I don’t know the specific times for this recipe. I usually sterilize the jars in boiling water and then fill them with the hot sweet chili sauce. I’m sorry I couldn’t be of more help. So, so good! I love being able to adjust the spice level to my preference. A pinch of cayenne is all I needed! Thanks! Will this remain edible if not stored in the fridge, if it is in a heat sterilized airtight jar?? The sterilized jar is great to extend the life of sweet chili sauce IF it stays unopened (a great way to store batches for later). But, as soon as you open a jar it’s already open to the elements in the air. The fridge does slow down the activity of microbes and make it last longer. But unfortunately, keeping it at room temperature will make it go bad sooner. 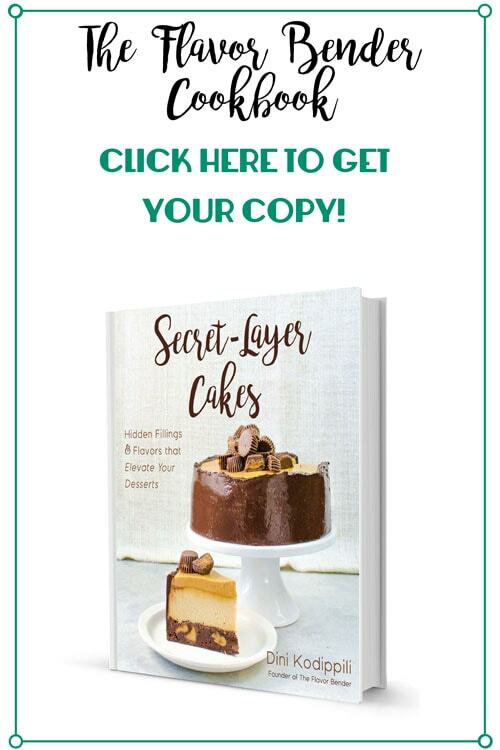 Since this does have a higher level of sugar, sugar can also act as a preservative, but I can’t be sure how long it will stay food-safe at room temperature. 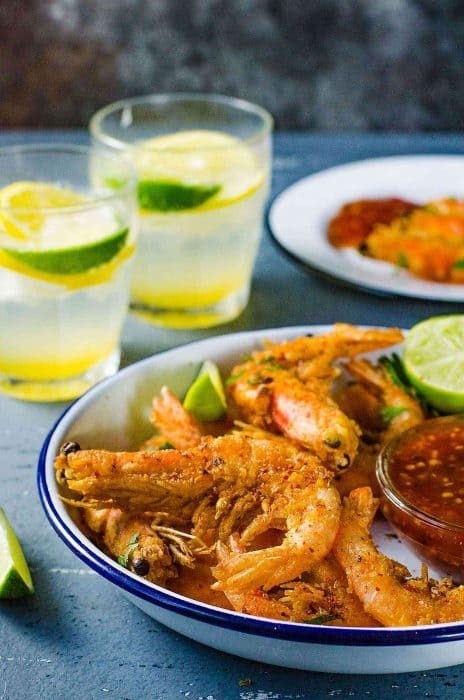 Hi Dini, I was wondering if I could substitute the rice wine vinegar with anything as I cannot have rice wine vinegar (any other vinegar is fine)? You can substitute rice wine vinegar with white wine vinegar or apple cider vinegar. However, the taste will change as well then. Since white wine vinegar has a stronger taste than rice wine vinegar, you may need to reduce the amount of vinegar a little (you can add more at the end of cooking, to your taste). Apple cider vinegar can be used as well, but since it has a strong apple taste, the sweet chili sauce will be more fruity with apple flavor. I hope that helps! I love sweet chilli and this is a great recipe. But I might’ve messed up somewhere along the way. Although it does taste and smell delicious, it came out really and I’m barely able to get it out of the jar, so I’m hoping to find out what went wrong for me? really thick and hardened within a couple of hours, is what I meant to say. Mine came out very runny & can’t use it for cream cheese topping. Should I try to recook it with more corn starch or start over? You can re-cook the sauce and add a little extra cornstarch. You don’t have to re-make the chili sauce again from the beginning. Alternatively, you can let it simmer for a little longer to let more water evaporate too. 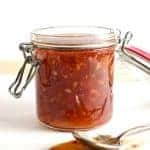 Dried chilli works well in this recipe as a sauce, i used jam sugar in another batch to make a chilli jam and it turned out wonderful but if you want a thicker sauce you can use arrowroot instead of cornflour ( sauce remains clear) and is perfevt for canning. This is so good and easy. I always have a bottle of this in the frig. It goes on just about everything i eat. Hi:) I’m just wondering, when you say 20kcal I’m assuming you don’t mean the whole thing is 20kcal so how much is 20kcal? The recipe is 32 servings / 32 tablespoons. Each serving is 20 calories (kcal). Hope that helps. If u can tell it stays fresh upto how many days?? This sauce was so flavorful and so good! We I poured it over cod and baked it and everything came out perfectly! I reserved a little to drizzle on top before we are it. I will be making this again and again. Thank you!! It’s so good!!!! Instead of cornflour, I used a low-sugar pectin to thicken it up so it’s more like a soft jelly but still very very yummy! The reason I used pectin was because I made a huge batch and canned them. THANks for sharing the recipe. Can I substitute the sugar with honey? I am eating paleo. Yes you can do that. But the taste will be a little different from classic sweet chili sauces. I hope that helps. I’d love to know how it turns out! Just made this recipe yesterday and I loved it! My husband also said it was the best. I also wanted to find out if it could be canned and discovered that while cornstarch does not work well in canning recipes…Clear Gel and a couple other canning substitutes for cornstarch can be used instead. I have ordered some Clear Gel from Amazon. It is difficult to find in stores. Will let you know how it turns out. Thanks for a delicious substitute for store bought choices, with a little more zing, and no extra fillers and stabilizers. This sauce looks amazing! May I ask what brand of sambal oelek do you buy? I use Huey Fong Sambal Oelek Chili Paste, which is my favorite brand of sambal oelek. Great idea! I tweaked the recipe a little: replaced the white sugar with brown sugar and maple syrup, added a teaspoon of Vegeta (Polish veggie stock powder), stirred in two Kaffir lime leaves and used roasted garlic instead of raw ones. It’s not as sweet but definitely has a deep, savoury, umami flavour from the roasted garlic, brown sugar, maple syrup and Vegeta. 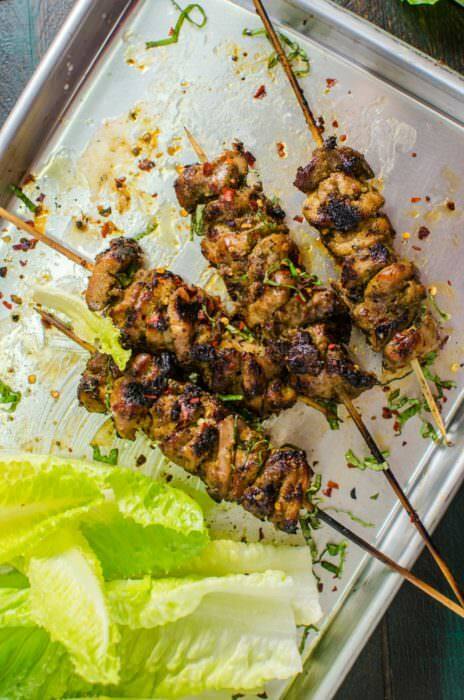 The lime leaves and rice vinegar then gives the flavor a bright lift! Can’t wait to have this in an omelette sandwich and as a dipping sauce for deep fried spring rolls. 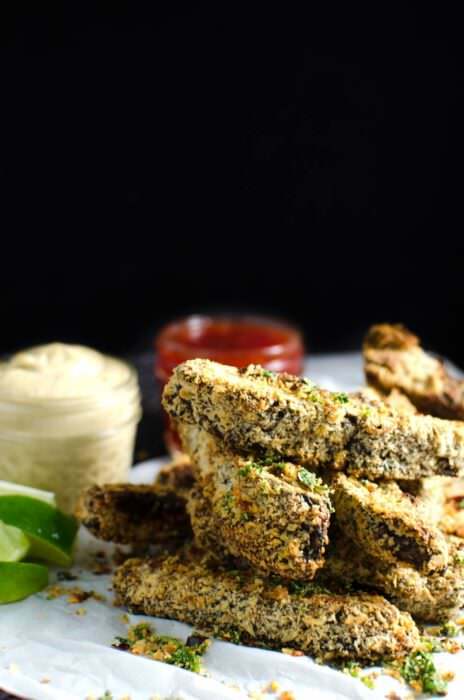 The Vegeta was a substitute for fish sauce and soy sauce to keep this recipe vegan, gluten-free and contains no refined white sugar or high fructose corn syrup (sometimes found in bottled Thai sweet chilli sauces here in the US). Love this idea and will never buy from the store again. It only took 20-30 mins to make this. The recipe calls for 4 red chilies. So I got sweet mini peppers. I have no idea what kind of peppers to use for this. Help! Can this be canned ? I haven’t canned this myself. But I have been told that the sauces thickened with cornstarch don’t can very well. However, I was also told that the sauce can be canned WITHOUT cornstarch, and then thickened before you use the sauce instead. I hope that helps. Can I use dried chili? I haven’t tried dried chili with this recipe. I don’t think it will have the same texture as the dried chili won’t soften too much in the sauce. The taste may stay the same, but I cannot be sure. I love being able to make my own sauces and we’ll love this one! All You need to know Is” Yummy D” This is so dang good!!! 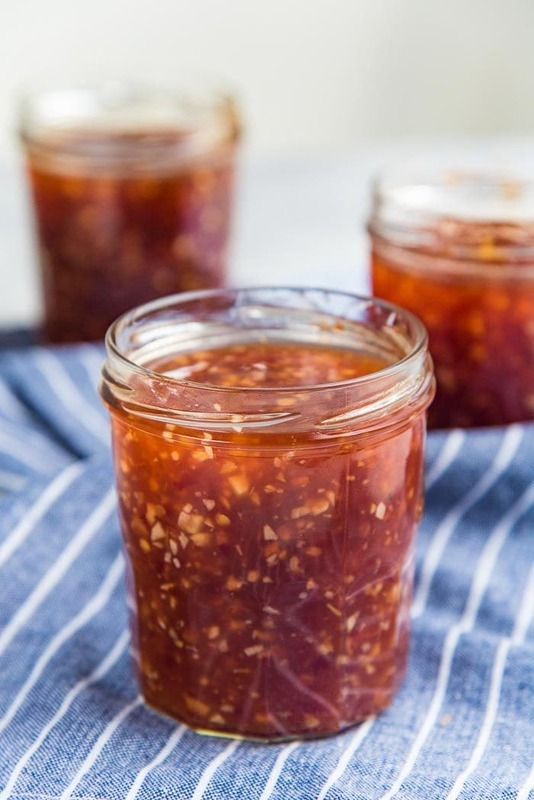 Why on earth would you ever buy jarred sweetened chili sauce when you can make this recipe. Sambal Olek has been a staple in my house for many many years. Many thanks Flavorblender for posting! Great recipe! Made this tonight and mixed it with some cauliflower for a main dish and it came out great. I doubled the recipe and substituted with red chilis- I suggest starting with only a couple red chilis and working your way up. I like spicy but using 5 chilis was even a bit much for me. Can’t wait to make it again. Thanks so much! Hello! How much cream cheese i should be placed in order to make it creamy?? Thanks for your ideas and lovely post!! Living in a rural area I have to substitute things all the time. One of my most favorite things is red chili paste in a tube,it’s the perfect heat level and available. I’ll let you know how it works. About how long does this keep in the fridge for ? Honestly, we finish every batch in about 2 weeks, but this can keep for maybe up to a month or even longer – if the glass jars are sterilized before you put the sauce in there. What is sambal oelek ? Where would I find it? Sambal Oelek is a paste or sauce made out of fresh chili and vinegar. You can find it in an Asian store, or in the Asian food isle in some supermarkets 🙂 I’m not sure where you live – but I buy mine from the local Asian store, but I have seen them at Hy vee and Walmart too (in the USA). I have also bought them from Woolworths and Coles in Australia. I hope that helps! If you cant find Sambal oelek, you can substitute it with fresh chilli ground up with a splash of vinegar, but use 1 tbsp less than the recipe as it is likely to be more spicy than sambal oelek. What is corn flour? I have read that it could be cornstarch…or corn meal (masa) depending on the culture. My instincts tell me that for this recipe it is cornstarch. Please confirm,. The recipe looks delish! Thanks! Yes! Your instincts are right 🙂 Corn flour is corn starch. Thank you so much! I hope you try this recipe and love it! 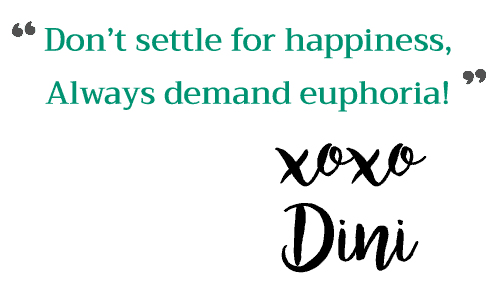 Great Dini, thanks for the quick response! Can’t wait to try it. FYI I haven’t looked for the Sambal Oelek in my local grocery yet….but if all else fails, one can purchase from Amazon. Just in case someone else cannot find it. I love trying new and interesting things and from the description of this ingredient it sounds like something I would love to experiment with. No problem Rebecca! I hope you do find Sambal Oelek. I love Sambal Oelek, I always keep a jar of it in the fridge and use it for day to day cooking! If you can’t find it, you can use fresh red chilis and grind them into a paste. It will be spicier, so you will have to use slightly less of it! I am not sure if you live in the US, but if you do – I easily found Sambal Oelek at Hyvee. Hi Dini! Well….I finally got around to making this sauce to serve with some oven fried chicken strips I made this week….all I can say is WOW!! Fabulous sauce I will make again and again. My hubby flipped for it…now I am thinking up more ways to use it. 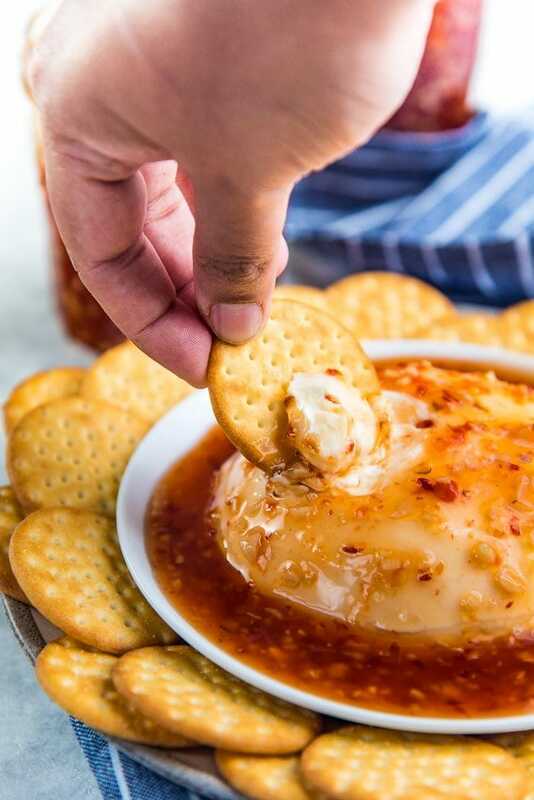 Love the idea of pairing with cream cheese for a dip or a spread. Thank you!! I live in N.E, England and I have not heard or seen Sambal Oelek! and in your recipes can you give the weight of a cup of whatever please or will any size cup do ?? The cup I used for this recipe measured 240mL, but you can use a 250mL cup as well (250mL is the standard cup measurement in England). 250mL of water is about 250g water too. Once you measure the water, measure 1/2 that amount for the Rice wine vinegar. I hope that helps Allan! 🙂 Don’t hesitate to contact me if you have any more questions. That gif is killing me, haha! I have GOT to make this sauce. I feel like I’m going to want to dip everything in it! I can think of so many ways to use this, I doubt it would last any time at my house. Bookmarked it! We use Spicy sweet chili sauce a lot and your recipe is perfect as I currently have loads of both dried and fresh chilis in my pantry. You sound like my boys as they love it hot!!! I absolutely LOVE sweet chilli sauce! A perfect dipping sauce!